Present state: The cinder and sleeper platform is largely extant although in poor condition. A small timber building stands in the former goods yard this is, perhaps, a signal cabin. The single storey stationmaster's house still stands behind the platform on the up side of the line and is now in private occupation. Notes: The station is sited in the middle of a ancient circular camp. 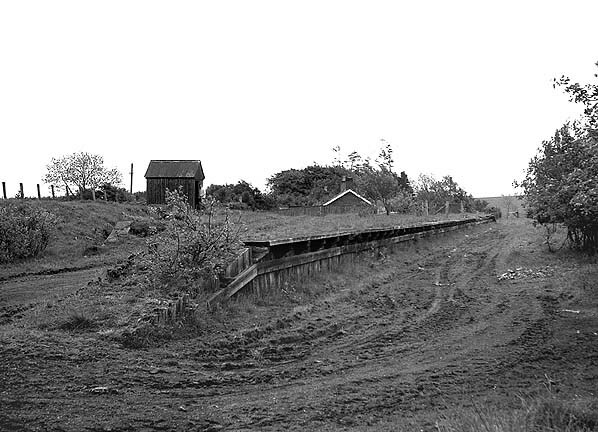 Facilities at Ewesley were very basic with a sleeper and cinder platform and single siding goods yard on the up side of the line with a dead end siding on the down side. 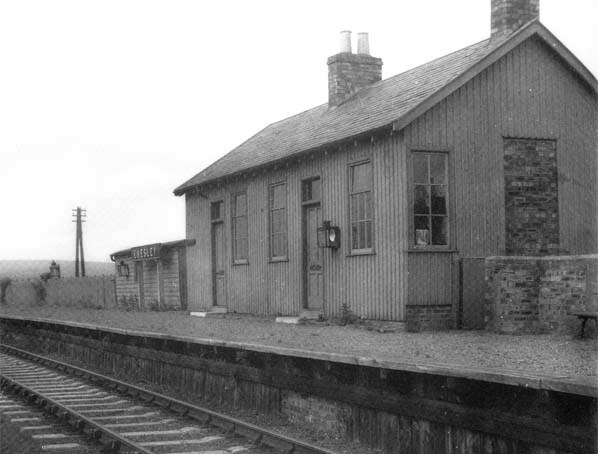 The station building was more substantial than Longwitton and was of timber construction comprising a booking office and waiting room with a separate brick built stationmaster’s house on the north side. An old passenger coach on the platform provided additional storage. Ewesley had the only passing loop on the branch; this was added in 1894 but it was rarely used with such light traffic on the line. The station closed on 3.101921 and reopened on 21.11.1921. 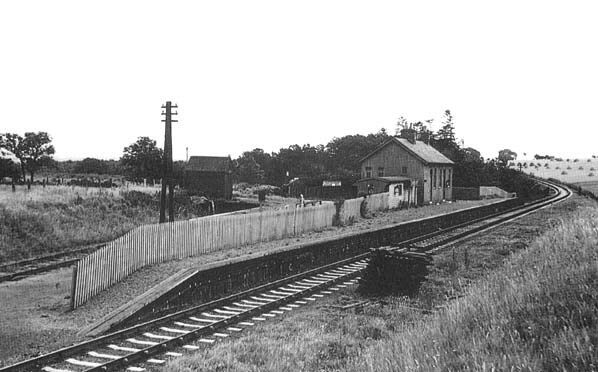 By closure in 1952 the station was Ewesley Halt. In 1859 the Wansbeck Railway obtained powers to build a line between Morpeth and Reedsmouth and the east section of this line between Morpeth and Scots Gap opened on 23rd July 1862. 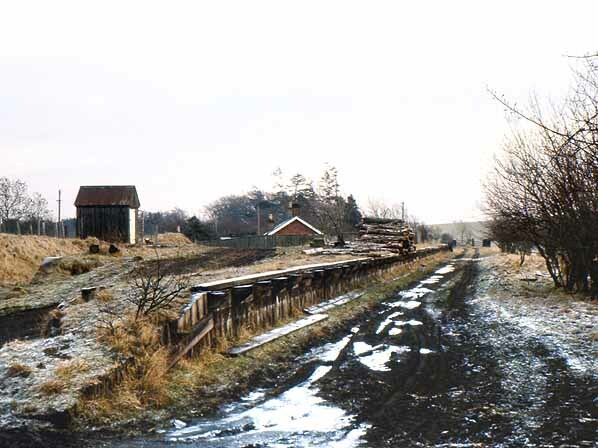 In 1863 the Northumberland Central Railway obtained an Act to build a line from the Wansbeck Railway at Scots Gap to a junction with the Berwick and Kelso line at Ford with a short branch to Cornhill, a total length of 50 miles. By February 1864 sufficient capital has been raised to construct the southern section of the line between Scots Gap and Rothbury but there was insufficient funds for the remainder of the line and despite efforts to raise further capital the northern section of the line was abandoned by a further Act on 12th April 1867. The western end of the Wansbeck Railway had opened between Scots Gap and Knowesgate on 7th July 1864, finally reaching Reedsmouth on 1st May 1865. Although the branch was of some benefit to the local community it was a disappointment to the promoters failing to bring expected profits and in July 1872 the line was absorbed into the North British Railway. The NBR made a number of improvements. Rothley Station was renamed Longwitton and opened to the public in April 1875 and the terminus at Rothbury was substantially improved. 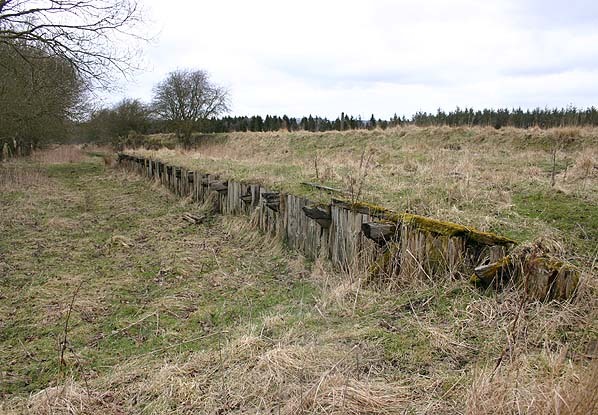 A number of sidings and branches were build to serve line side industries and collieries. In 1881 the NBR supported a proposal to extend the branch to Wooler but this came to nothing and the Rothbury branch settled down to a peaceful existence as a very rural branch line. The railway eventually brought new prosperity to Rothbury with new housing and by the turn of the century the town had developed as a minor golfing and fishing resort but despite this, passenger traffic was never heavy with only three daily trains between Morpeth and Rothbury. Freight traffic was mainly agricultural with one daily freight working in each direction with additional traffic to collieries and quarries although these were all short term small scale ventures. In 1923 the NBR was absorbed into the London & North Eastern Railway but this brought few changes to the Rothbury branch. The outbreak of WW2 brought a reduced service with only two trains per day. Rothbury was used to store ‘spare’ locomotives as it was considered to be safe from attack by the German Luftwaffe. The end of the war did’t bring a return of the pre-war service and by 1946 there were still only two trains a day increasing to four on Saturday. In December 1947 nationalisation brought the branch under the control of British Railways but initially there were no changes. With more passengers preferring to use the car the branch was becoming hopelessly uneconomic and although the line provided a valuable winter lifeline to the local community this did not justify maintaining the passenger service. No attempt was made to run the line economically and it was inevitable that the passenger service was finally withdrawn from 15th September 1952 with the last train running on the 13th September. The branch remained open for freight with occasional passenger excursions. The final steam hauled enthusiasts special visited Rothbury on 9th November 1963 and the freight service was withdrawn two days later. The very last passenger train was a private diesel working in July 1964 carrying members of the North Eastern Region’s Chief Civil Engineering staff on their annual office outing. The track was lifted later that year.